Location! Location! Location! 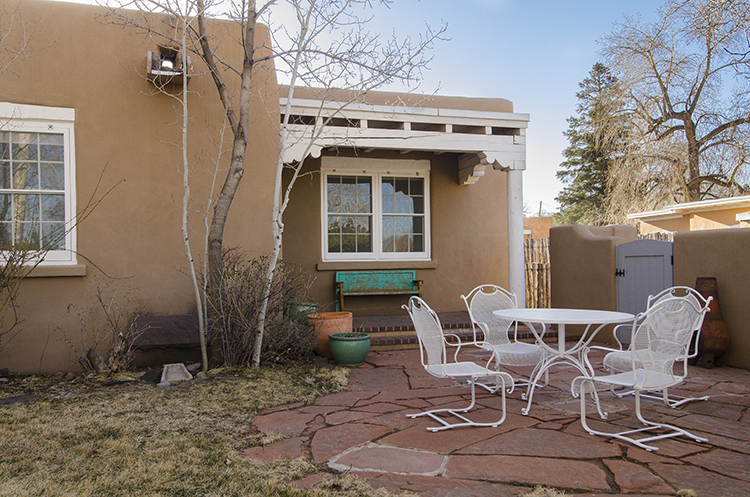 This classic two bedroom property is just a short half block stroll to historic Canyon Road. The home was built in 1941 and has had only two owners - great pride of ownership. Formal, cozy living room with leather furnishings and fireplace. Enjoyable spot to watch a TV or enjoy family time around the fire. There are two bedrooms, the master offers a queen suite; bath with two sinks and walk-in shower and the guest bedroom offers a king bed with bath in the hall. Off the dining room is a sweet sun room with sofa and two chairs to relax and catch up on your reading. 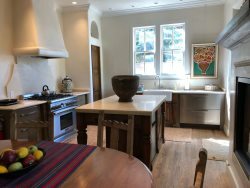 The kitchen is fully equipped with granite counter tops and five burner gas range - prepare a light meal or host a dinner party. There is a small kitchen table for morning coffee. The home has hardwood floors throughout. There is a downstairs basement, sitting area with an extra double bed for the occasional overnight guest. 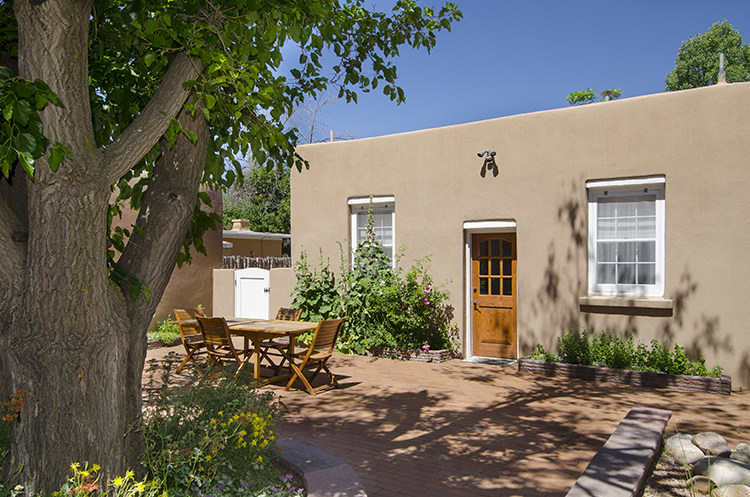 The patios, yard and gardens are professionally maintained. There are two patio areas; one in front garden as well as a private yard behind the house with table and chairs and BBQ. The home has evaporative cooling. Walk your dog along the river to downtown Santa Fe. No smokers please! Elaine Fattah has exceptional customer service skills! Elaine response to any of my questions was always professional and I knew if I had any concerns I could contact her. I felt right at home the minute I arrived in this lovely property. Beautiful furnishings and artwork. Excellent location. The team was friendly, responsive and very helpful. This is the second year we have stayed in the property. It is in a great location and has a nice yard.